New by W&W, Challenge all-carbon arrows offer archers the chance to start off with high performance arrows from the begining. 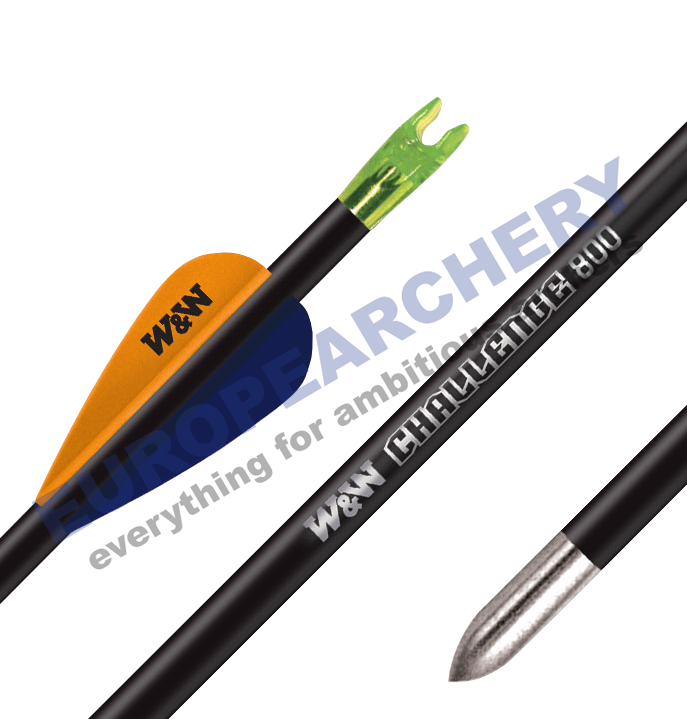 Priced to be competitive against entry level aluminium arrows, The Challenge arrow simply out-performs the competition. Straightened to +/-.008"
Complete with factory fitted components including EP16 vanes, W&W nock and stainless steel points. Colours may vary.